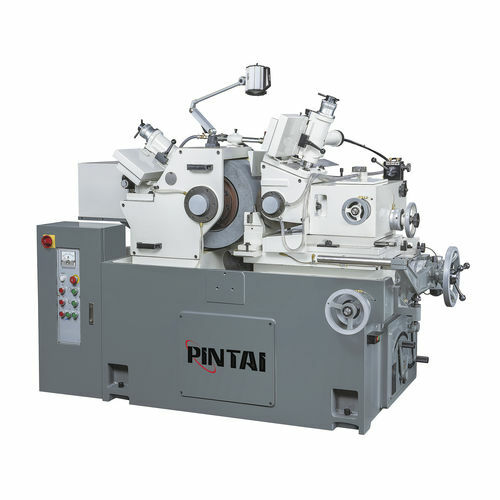 Centerless grinding machine / workpiece / high-precision - P-12/ P-18/ P-20 - Pintai Machinery Co., Ltd.
Machine-tools > Finishing Machine > Centerless grinding machine > Pintai Machinery Co., Ltd. Stand: Pintai Machinery Co., Ltd.
P-12/ P-18/ P-20 Pintai Machinery Co., Ltd.
* Rugged machine structure assures maximum stability during grinding. * Achieving high accuracy requirements for all kinds of workpiece. * Regulating wheel is controlled by gear box (7/10/10 Steps). * Suitable for thrufeed and infeed grinding, and provide total solution against customer's requriement. * Customized automation to provide grinding efficiency.